Great views come accompanied with peaceful surroundings at Island’s View. This 3 bedroom property is set within a stone’s throw of Seahouses Harbour, with the top floor boasting some amazing sights of the coastline and Farne Islands. The property is light and airy and provides comfortable accommodation for either a family or holidaying couples and is located within the more quiet part of Seahouses, amongst the traditional Fisherman’s cottages and former smoke houses. The beaches and village amenities are all within a short stroll from the property making Island’s View ideally placed for a wonderful holiday experience. 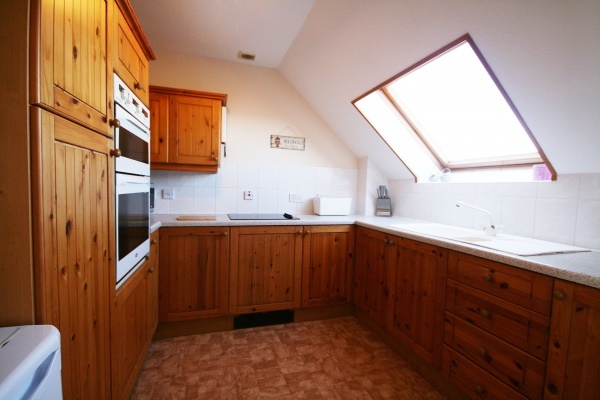 Well equipped separate kitchen with views up the coast from the window.